This pair of moose hide slippers are decorated with moose hide tufting and ermine trim. Dyed moose hair bundles are stitched onto a surface, in this case leather, and then trimmed to the desired shape. The design on these slippers is of flowers in red, pink, orange, purple and yellow, with green leaves. 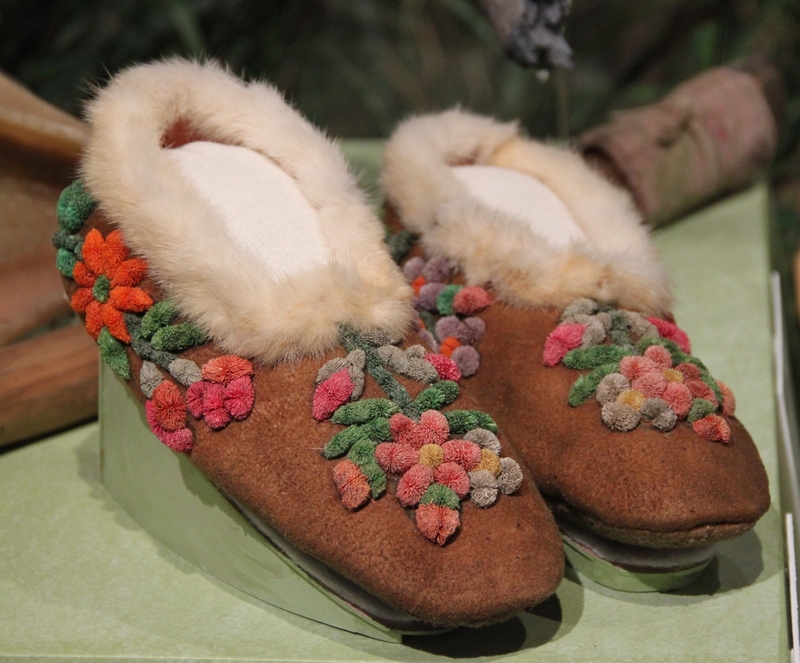 The slippers were made in Fort Providence, NWT between 1920 - 1930 and are displayed at the Prince of Wales Northern Heritage Centre in Yellowknife.